2.01 carat GIA Certified Pear Shaped natural HPHT Diamond. GIA Certified natural HPHT diamonds are loose diamonds that have undergone HPHT to transform their color. HPHT diamonds are born with high clarities ranging from VVS2-Flawless. Inscription(s): GIA 2195562094, treated color. *This diamond has been treated by one or more processes to change its color. The Pear Cut Diamond is often selected by women who are leaders with an eye for impeccable taste. They are thought to have a sense of individuality and embrace traditional elegance. 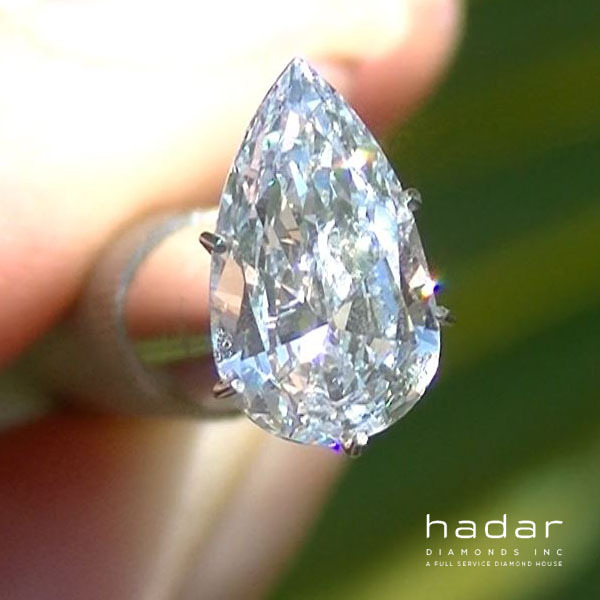 An ideal Pear Cut Diamond will show very good or excellent symmetry, from the point to the apex of the round end. 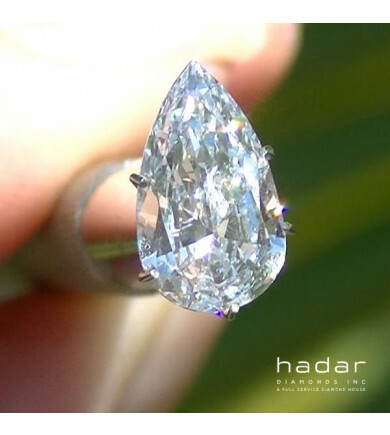 Because a Pear Cut Diamond has many facets, they sparkle in a similar fashion as the Round Brilliant Diamond.